Most boot soles are made to grip the ground. Not this guy. 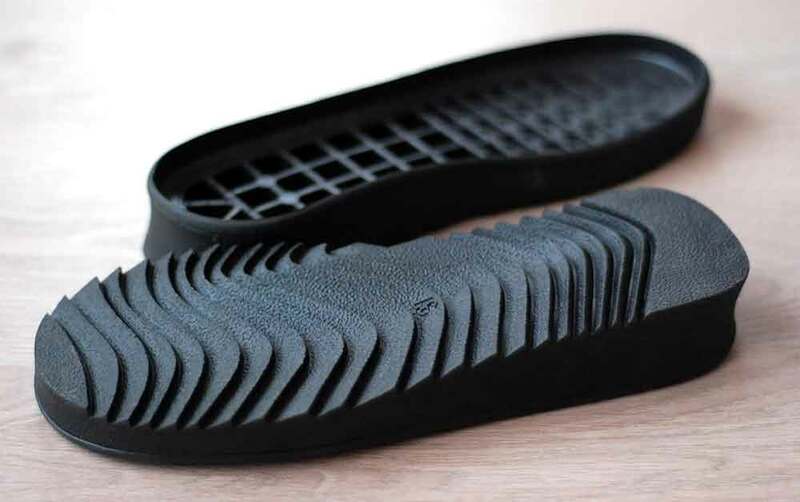 Upstart Italian rubber brand Sebram has taken a big stride in tread technology with its anti-grip sole. The company has also trademarked the unique sport made possible by the new shoe: “Slurfing” is a mashup of slipping and surfing, practiced on rock and scree fields. It is gaining attention in the Alps. “As a company that is building a reputation for innovation and new technology, we needed to explore where we could grow,” said Daniet Fellows, president of Sebram Rubber, a subsidiary of Allied Plastics. The highly anticipated soles likely won’t come cheap. No word yet on the official sticker price, but rumor is a pair of slurfer-specific shoes could run north of $300. The Sebram anti-grips are set for release next April Fool’s Day, when perhaps they will exist.